Here we have a couple young boys running our babbitt station. They take each connecting rod and prep it, then installed it into a fixture to pour the babbitt into. This fixture simulates the crank shaft diameter where the connecting rod is going to ride. Once the babbitt is pour into the fixture it cools and then the connecting rod is popped out with it's new babbitt bearing installed. 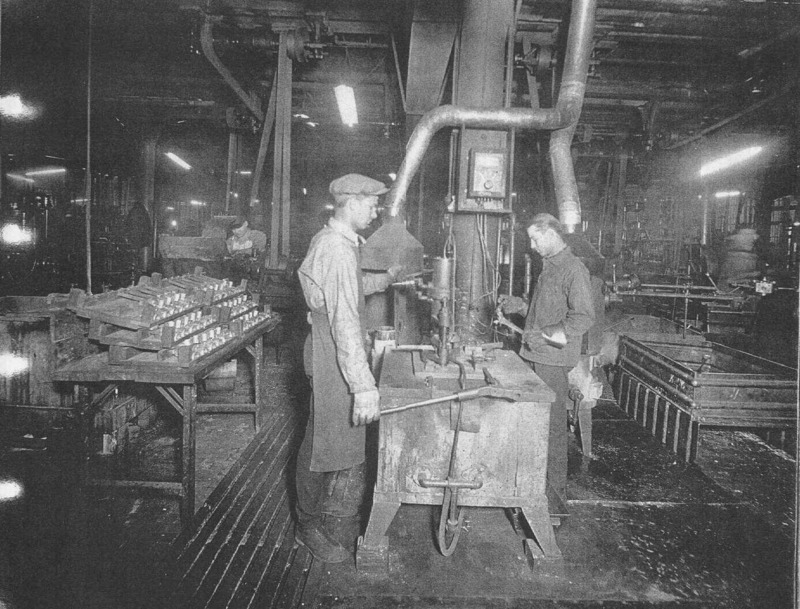 After each connecting rod is cleaned it's then laid on the wood trays in the left center. Each tray holds enough to do two engines are the trays are stacked once on the engine assembly floor.